Here at Bonafide Media we love, live and breathe publishing. 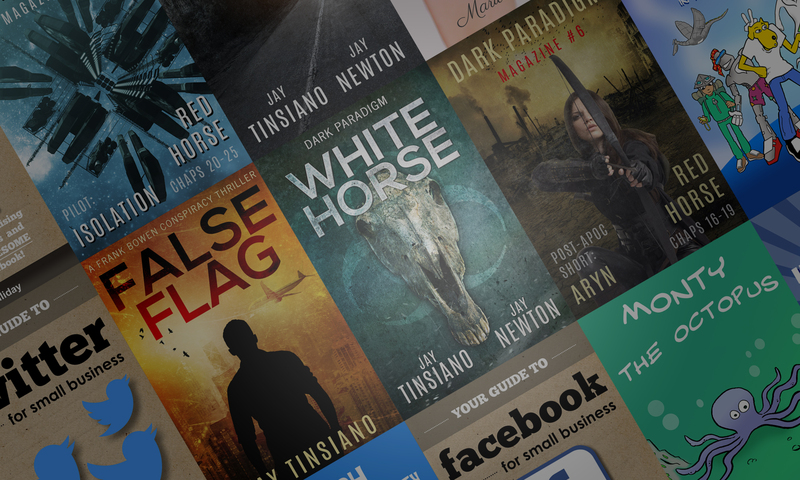 We are a small independent publishing house with big ideas and an agile approach to creating books. We produce genre fiction, non-fiction, comics and children’s books across a broad range of formats including digital, paperback and audiobook. Our current focus is our main fiction imprint, but we’re also in the process of expanding our broad portfolio of published brands. We produce a wide range of books through several imprints and work with a pool of talented cover designers, editors and book marketers. Dark Paradigm books could take you to a post-apocalyptic world, or a sci-fi story up in the stars or perhaps closer to home within the cold comfort of a steely thriller. We also publish non-fiction and children’s books. More on our imprints and books here. Bonafide Media is an independent small publisher currently focused on fiction through the Dark Paradigm imprint including thrillers, post-apocalyptic and sci-fi. We also publish non-fiction and Children’s titles under the Bonafide Media brand. Our titles across all imprints are published in English worldwide, in ebook, print and audiobook formats. Jerry Holliday – co-founder Bonafide Media imprints. Jerry first published a comic zine at the age of 14 and went on to edit and publish Bonafide Comics. He has since worked for in online marketing, co-founded a digital agency and to date, authored five novels and several non-fiction books. Jay Newton – co-founder Dark Paradigm Publishing. Jay joined Bonafide Media in 2013 to help bring a number of fictional series to publication. He collaborates with Jerry on numerous titles under the Dark Paradigm imprint. Book trade: Our titles are distributed by Ingram and are working to establish relationships with other trade distributors. We welcome enquiries on rights licensing, including translation/foreign rights, television, film, gaming and other media.